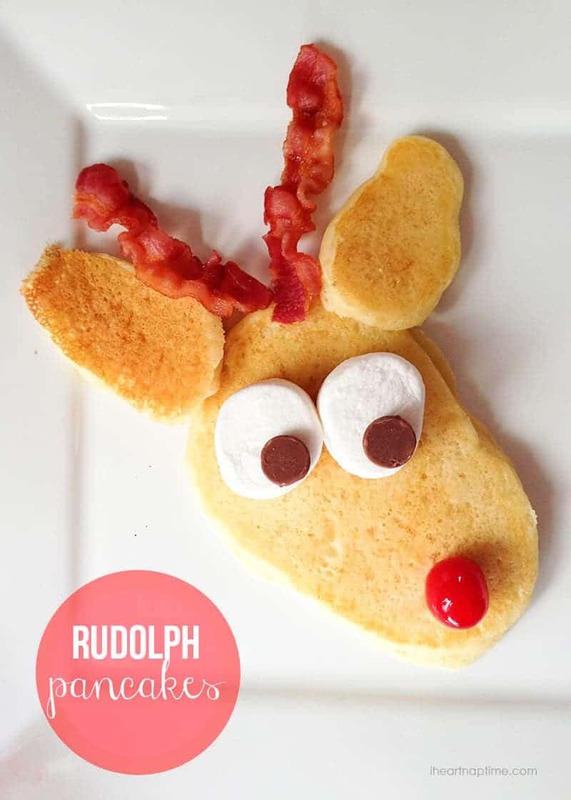 Rudolph pancakes -a fun breakfast tradition for Christmas! 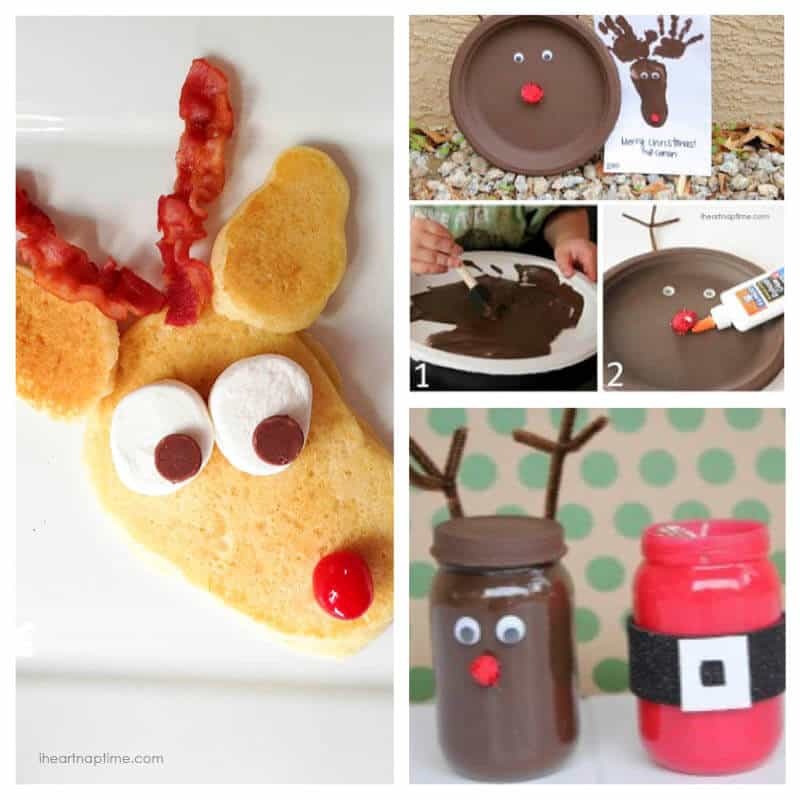 Today I have some cute Rudolph pancakes and reindeer craft ideas to share with you. We actually made these last year and I forgot to share them with you! As Christmas quickly approaches, my kids are getting more and more anxious to meet Santa and his reindeer. My son absolutely loves Rudolph! He loves him so much we decided to dedicate a whole morning to making reindeer crafts, and of course, they all had to have *sparkly* red noses. 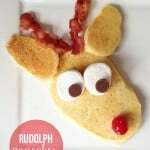 We started the morning off with Rudolph pancakes and my kids LOVED it. I think this will be our new tradition to serve them on Christmas Eve for breakfast. They were just too cute and yummy! Make pancakes according to directions. Cook the pancakes on a greased griddle over medium heat. You’ll want to make 6 medium oval shaped pancakes and 12 small oval shaped pancakes. I used a 1/4 cup measuring cup to pour the batter onto the pan so I could shape the ears and face. You could also pour the batter into a zip top bag and cut off the top. The shapes don’t have to be perfect. 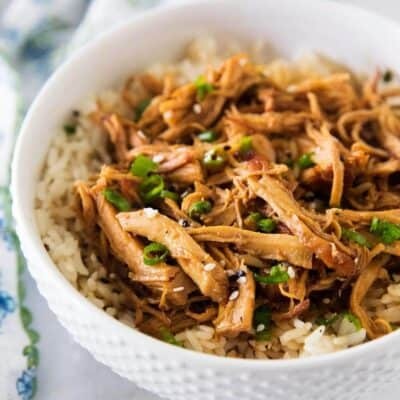 Cook until lightly browned on each side and then remove to a plate. Place two little pancakes on top of a bigger one to form the face. Then place two pieces of bacon on top on the head for the antlers. For the eyes I cut a large marshmallow in half and then stuck a chocolate chip in the middle. Then I put a cherry on top for the nose. 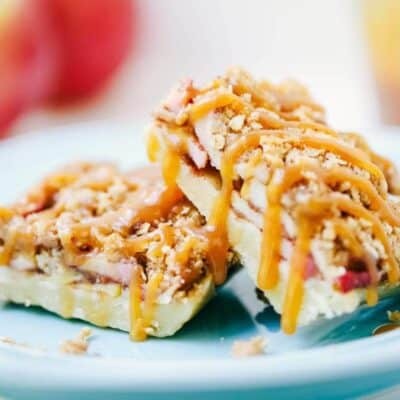 Top with syrup and enjoy! We also had such a fun time making reindeer gifts for his friends and grandparents. All the supplies for this craft were found around the house. I don’t know about you, but I love to save baby food jars. 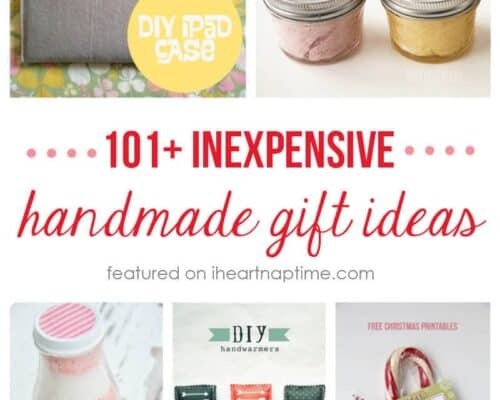 There’s so many fun crafts you can make with them. They also make the perfect little reindeer! Aren’t they cute? 1. The first thing you’ll want to do is make sure your jars are clean. Once they clean, pour a good amount of paint in the bottom of the jars. Roll around the paint making sure to get all the edges. You’ll want to assist your kids with this part. 2. Once the inside of the jars are filled with paint, dump out any excess paint and wipe around the edges with a wet paper towel. Don’t forget to paint the jar lid as well. 3. 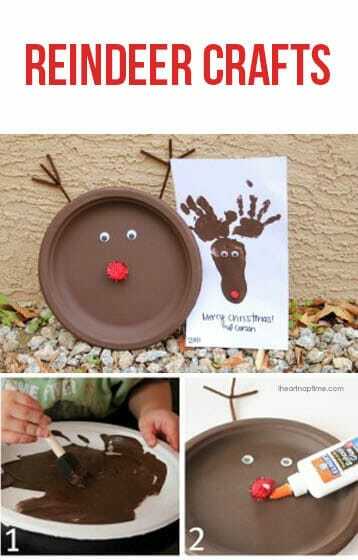 While the paint is drying you can make the antlers. To do this, cut one pipe cleaner into fours. Create a “T” with two of the pieces and twist the pipe cleaner around to create the antlers. 4. 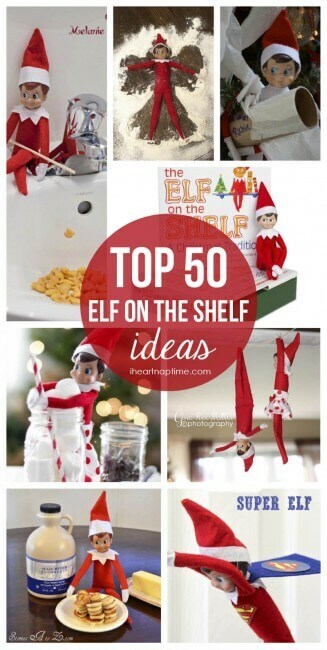 Glue on the googly eye’s, red nose and the antlers to the back of the jar. 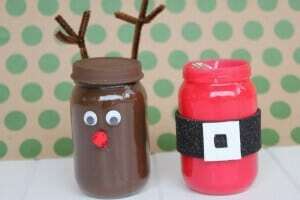 After the jars were complete, my son wanted to make more reindeer crafts with the extra supplies we had. 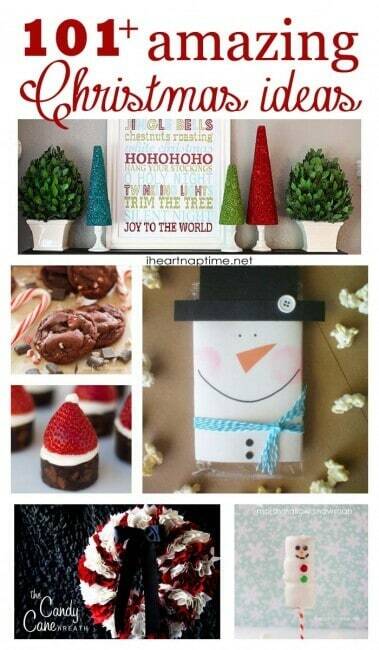 These crafts were so simple to make, and your kids will love making them for their friends. 1. Have your kids paint their plate brown and allow to dry. 2. Glue on their googly eyes, red nose and the antlers to the back of the plate. 1. Stamp your child’s foot in the center of a plain piece of paper. 2. Then stamp your child’s left and right hand on top creating the antlers. Once the paint is dry you can add the googly eyes and nose. My little guy was so proud of his reindeer. I think they turned out so cute! Which one’s your favorite? Have fun creating and making memories with your little ones! Hope everyone has a Happy Holiday this year! 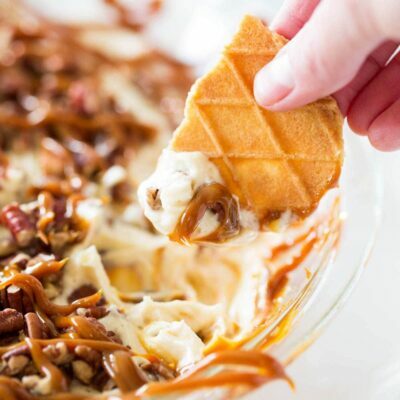 No-Bake Cheesecake Dip – 4 Ways! We make these every year, the kids love them so much! Thanks for the idea! I’m so glad you’ve added these to your holiday family traditions! 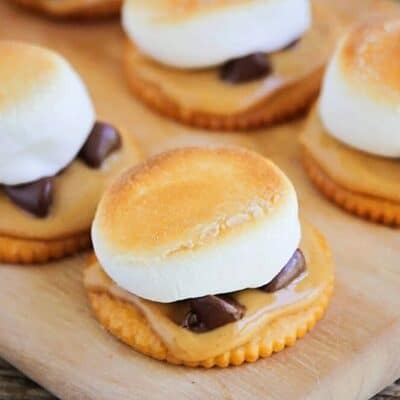 Can’t wait to make these for my kids on Christmas! Love the pancakes, so cute! I am so doing this! My kids are loving you as much as I do!